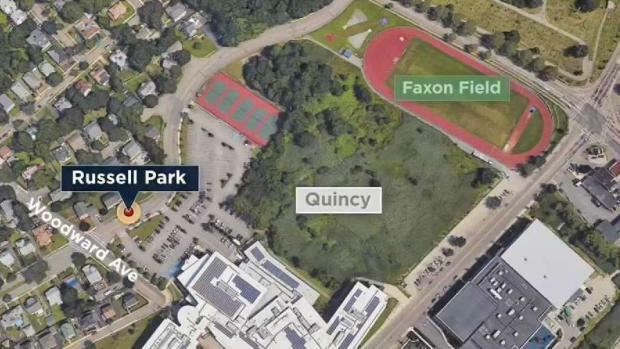 Police are searching for the suspect who allegedly robbed and assaulted a woman late Monday morning in a Quincy, Massachusetts park. Officers responded to Russell Park just after 11 a.m. after receiving a call of the assault. 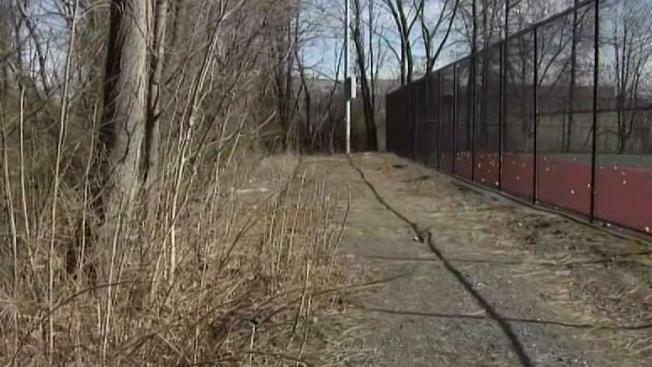 When officers arrived, the 49-year-old victim, who police say had cuts and was bleeding, told them she had been walking on a dirt path behind the tennis courts when a man approached her from behind. The man then threw the victim to the ground, stole the woman's money from her purse, and fled the scene towards Faxon Field. The victim's purse was left behind. An officer and his K9 "Hodor" were able to locate the victim's sneakers and jacket in the wooded area in which the suspect fled. The suspect, however, could not be located. The path is a popular cut through for students, dog walkers, and people trying to get to the nearby YMCA and MBTA stop. "I don’t understand, if you’re that hard up, there's always places to go to get shoes, to get money," said Cindy Anglehart, who uses the path but says she'll now think twice about that. 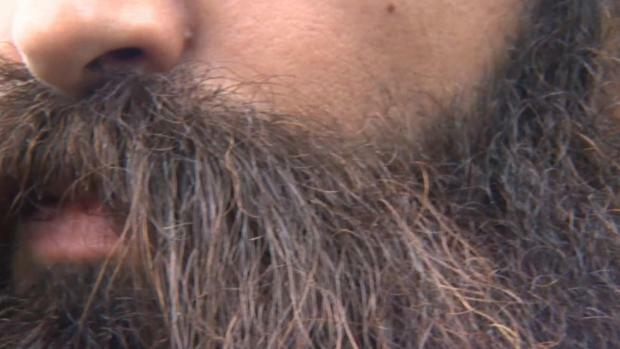 "There's people willing to pay it forward, you don’t need to do that." Anglehart says she'll be telling her daughter to stay away from the path as well. The incident has raised concerns for other people who use the path and those who both work and attend nearby Quincy High School. "That's very unusual for around here," said Carolyn Mullaney, track coach at the high school. "I think that people who are on some kind of substance probably don't have any concern about who it is or what time it is or anything like that," added Jessica Bethka, who uses the path. "But it's awful. I mean you want to feel safe as you're walking around and clearly you can't always do that." The suspect is described as a man in his early 20s, bald, and clean shaven. At the time of the incident, he was wearing a black hoodie, blue jeans, and black shoes. "There's so many youth programs around this area, it kind of gives you the chills that this happened in broad daylight," said Denzel Reyes, who lives in the neighborhood. Anyone with information on the suspect or incident is urged to contact Quincy Police at 617-479-1212.